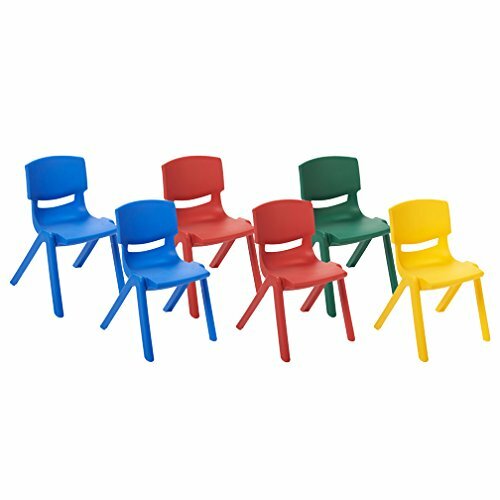 The unique ecr4kids stackable resin chairs are a bright and comfortable seating solution for your classroom, daycare, playroom, bedroom, assembly areas, and outdoor spaces. The chairs are made from fade-resistant polypropylene that will not crack, chip or peel and feature a one piece design with a vented back and smooth rounded edges for safety. Easy to clean and maintenance free, the chairs don't require hardware that has to be tightened. The complementary chair colors mix and match to coordinate with the ecr4kids resin and adjustable activity tables.